The Boston Celtics have a league high 17 NBA Championships. The franchise is represented by champions like Bill Russell, Bob Cousy, Larry Bird, Kevin McHale, John Havlicek and many more. Despite the abundance of champions, there are many great Celtics who never won in Boston. The following players deserve to be recognized despite their lack of hardware. Lewis was selected by the Celtics with the 22nd pick in the first round of the 1987 NBA draft. In Lewis, Boston added a young scorer to their aging core of Larry Bird, Kevin McHale and Robert Parish. In his rookie season under coach K.C. Jones, Lewis would average just over eight minutes per game. The Celtics finished the season with a 57-25 record. They eventually lost in the Eastern Conference Finals to the Detroit Pistons. Things would change dramatically for Lewis in year two. An injury to Larry Bird and the addition of new head coach Jimmy Rodgers allowed Lewis to see a major increase in playing time. As a 23-year-old, Lewis played about 33 minutes per game while averaging 18.5 points, 4.7 rebounds and 2.7 assists. The Celtics would struggle without Bird, posting a 42-40 record in the regular season. The Detroit Pistons would eventually sweep Boston in the first round of the playoffs. In years three and four, Lewis would continue being an integral secondary scorer. He averaged a combined 17.8 points, 4.8 rebounds and 2.7 assists across 34 minutes per game during said span. His major breakout would come during the 1991-92 NBA season. Lewis played a team high 37.4 minutes per game due (yet again) to injuries to Bird and McHale. With the increased opportunity, Lewis would average 20.8 points, 4.8 rebounds and 2.3 assists. He would also make his first All-Star team that season. In ten postseason games, Lewis would average an incredible 28.0 points per game. The Celtics eventually lost in the Eastern Conference Semifinals to the Cleveland Cavaliers. 1992-93 would be Lewis’ last season in the NBA. With Bird retired, Lewis was the primary scorer in Boston. In 39 minutes per game, Lewis averaged 20.8 points, 4.3 rebounds and 3.7 assists. The Celtics would finish with a 48-34 record, good enough for second in the Atlantic Division. Lewis played 13-minutes of the Celtics first playoff game before collapsing to the floor and being taken to the hospital. Without Lewis, the Celtics lost in the first round of the playoffs to the Charlotte Hornets in four games. On July 27, 1993, Lewis suffered sudden cardiac death at Brandeis University in Waltham, Massachusetts. He was just 27-years-old. 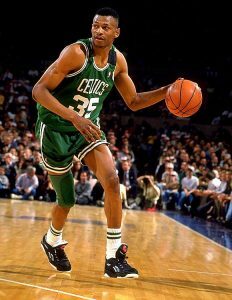 His number 35 jersey is retired in Boston, making him one of two Celtics players (Ed Macauley #22) to have their numbers retired without winning an NBA Championship. Although Walker did win an NBA Championship, he failed to do so in Boston. He was selected with the sixth pick in the 1996 NBA draft by the Celtics and made an immediate impact. At 20-years-old, Walker averaged 17.5 points and nine rebounds and was voted to the 1996-97 All-Rookie first-team. The Celtics won 15 games and were rewarded with the third pick in the NBA draft (Chauncey Billups was later selected). In year two, Walker started all 82-games. He averaged 22.4 points and 10.2 rebounds across 39 minutes per game, while making his first All-Star team. The Celtics improved their record to 36-46, and would receive the tenth overall selection in the 1998 NBA draft (Paul Pierce was later selected). Fast forward to 2001-02, Walker averaged 22.1 points, 8.8 rebounds and 5.0 assists across 42 minutes per game. Alongside Pierce, Walker led the Celtics to the playoffs for the first time in his career. In 16 playoff games, Walker averaged 22.1 points, 8.6 rebounds and 3.3 assists. 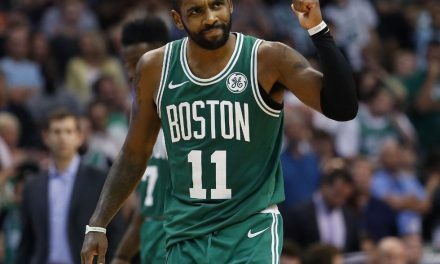 The Celtics made a deep run into the playoffs, but eventually lost to the New Jersey Nets in the Eastern Conference Finals. 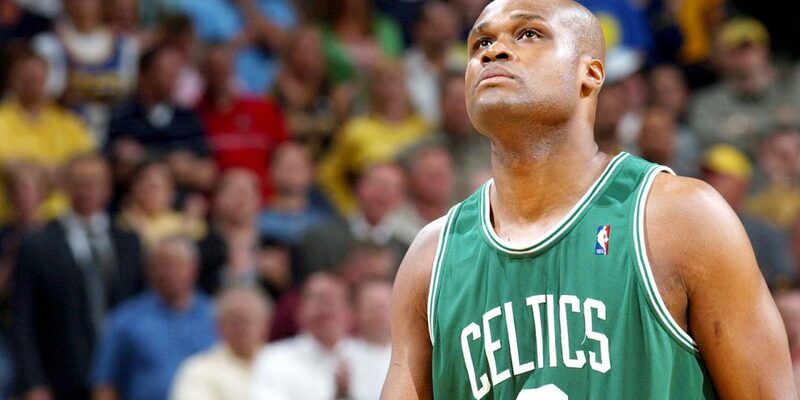 Walker and the Celtics returned yet again to the playoffs in 2002-03. In what would be Walker’s final season as an All-Star, he averaged 20.1 points, 7.2 rebounds and 4.8 assists. The Celtics would once again fall short to New Jersey, though in the Eastern Conference Semifinals. On October 20, 2003, Walker was traded by Boston to the Dallas Mavericks for Raef LaFrentz, Chris Mills, Jiri Welsch and a 2004 first-round draft pick (Delonte West was later selected). In February of 2005, Walker was traded by the Atlanta Hawks back to the Celtics for Tom Gugliotta, Gary Payton, Michael Stewart and a 2006 first-round draft pick (Rajon Rondo was later selected). In August of 2005, Walker was included in a five-team deal sending him to the Miami Heat. Walker would win a Championship in his first season with the Heat, although he will always be remembered as a Celtic. Thomas was the final selection in the 2011 NBA draft by the Sacramento Kings. He would spend three seasons in Sacramento, averaging 15.3 points and 4.8 assists across 29.1 minutes per game. In 2014, the Kings traded Thomas to the Phoenix Suns for Alex Oriakhi and a trade exception. Thomas started one of his 46 games in Phoenix, averaging 15.2 points and 3.7 assists in 25.7 minutes per game. Half way through the season, the Suns parted ways with Thomas. On February 19, 2015, the Celtics would acquire Thomas in a three-team deal including Tayshaun Prince, Marcus Thornton and a future first round draft pick (Skal Labissiere was later selected). Thomas averaged 19.0 points and 5.4 assists in 26 minutes per game in the final 21 games of the season. 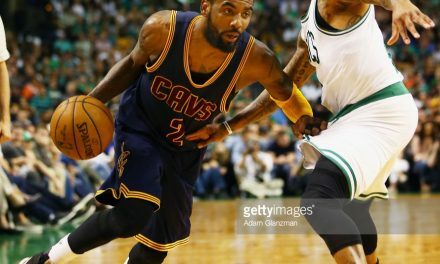 The Celtics would eventually be swept by the Cleveland Cavaliers in the first round of the playoffs. Thomas’ first All-Star campaign came during the 2015-16 season. He averaged 22.2 points and 6.2 assists across 32.2 minutes per game. The Celtics would lose in the first round of the playoffs again, although this time forcing the Atlanta Hawks to six games. The 5-foot-9 guard broke out during the 2016-17 NBA season. He averaged a career high 28.9 points and became the sixth Celtic ever to score 2,000 points in a single season. Thomas lead the Celtics to their third consecutive playoff appearance. During the first round of the 2016-17 playoffs, Thomas tragically lost his sister in a car accident. 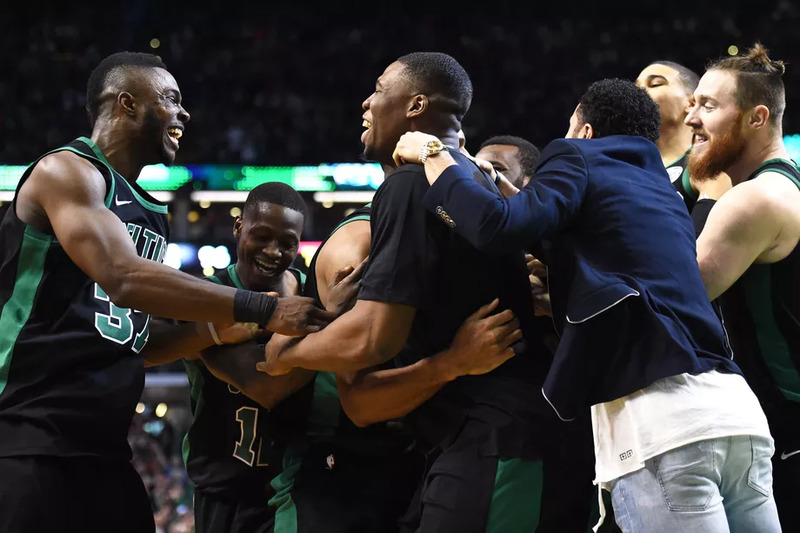 In a heroic effort, Thomas would score 53 points – the second highest in Celtics playoff history – on what would have been his sister’s 23rd birthday. Thomas’ performances during these playoffs will never be forgotten. The magical playoff run would inevitably come to an end against LeBron James and the Cleveland Cavaliers. Despite the lack of a championship, Thomas has indefinitely left his mark on the franchise. On August 22, 2017, Thomas would be traded along with Jae Crowder, Ante Zizic and the Brooklyn Nets’ unprotected 2018 first-round draft pick (Collin Sexton was later selected) in exchange for Kyrie Irving. The move was shocking, although it was clearly the best decision for Boston moving forward. Since leaving Boston, Thomas has bounced around the NBA, landing in Cleveland, Los Angeles and now Denver. As Celtics fans, we must wish Thomas the best of luck. Without him, this rebuild process would not have been possible.